A reader would like to transfer images to an iPad while on the road, then sync with iCloud Photo Library and free up storage in iOS. 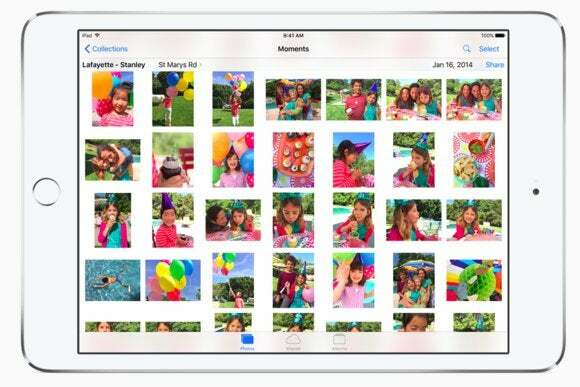 Brendan Ford wants to relay images via an iPad, but it can only store 16GB. He’s wondering how to manage that. I am currently travelling, and have come only armed with an iPad and my GoPro. My plan was to upload daily my footage from the GoPro to my iPad and then upload that footage to my iCloud Photo Library for permanent storage. However, Brendan wonders how he’ll clear storage out without deleting images and video, which would wipe them off iCloud Photo Library. I answered a similar question recently from a different angle: How to delete before syncing. Here, however, reader Brendan has a distinct timing issue. He can set iOS to optimize its image library (Settings > Photos & Camera > Optimize iDevice Storage), which automatically deletes high-resolution images and replaces them with low-res thumbnails or videos as remaining storage lags. But this means he needs a high-speed upstream Internet connection to sync his new GoPro video, which could add up into megabytes or gigabytes a day depending on the source resolution and amount he’s shooting. With a 16GB iPad, removing unused apps and possibly restoring (to rid of pesky Messages storage that can balloon over time) might be required to have enough temporary storage while iCloud syncs.